An ever growing field and projected to increase 28 per cent by the year 2018, paralegals are currently in demand across the country. 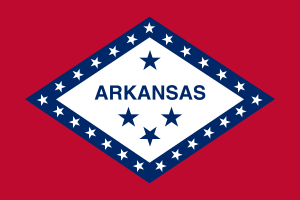 In Arkansas, especially in Little Rock and the surrounding areas, over 2,000 paralegals are employed by government agencies, law firms and corporations. They are sought for their expertise in areas such as document interpretation, appointment setting, interviewing or witnesses, research, assisting an attorney for trial preparation, and many other tasks. What was once the domain of the lawyer has now become the kingdom of the paralegal as the profession rises into a new light with employers who enjoy that paralegals, while well-paid, are not as expensive to keep on a payroll as an attorney. Paralegal associations have been working hard to showcase paralegals for the valuable resource they are, and they have achieved their goal. Now more than ever it is a good career to choose. Arkansas has a Rule of Professional Conduct 5.3 within its laws that keeps in line with many other states. It enforces that the behavior of a paralegal or other legal assistant becomes the culpability of the attorney who has them in direct employ. In short, the lawyer employing a paralegal takes responsibility for his or her professional actions. While there are no specific requirements to becoming a paralegal in Arkansas, an aspiring paralegal can certainly set herself up to outshine the competition by completing a degree or becoming certified. There are four additional certificates that can be completed for an employer to really take notice of a paralegal’s skill and experience. It is important to ask a potential employer if they want a certified paralegal or a certificated paralegal, as the two are not the same and an employer may not know the difference. A certificated paralegal already possessed a Bachelor’s degree in a non-related field and had only to take the certification courses for paralegal studies, or gained a certificate through other course work and study; a certified paralegal is one who has taken and passed one of the four extra exams. It’s important to note than not all schools offering a certificate are accredited or American Bar Association-approved. In Arkansas there are only two ABA-approved schools, though there are considerably more that have the accreditation of the Board of Education and even more that are non-accredited. NorthWest Arkansas Community College offers a two-year Associate’s degree of Applied Science in paralegal studies. This college enjoys an agreement with the UA Law school concerning paralegal research and graduating students can find local jobs with companies such as Wal-Mart, J.B. hunt Trucking and Tyson’s. Courses are offered throughout the day, evening and off-campus. It’s located in Bentonville and internships are on an elective basis. The second is the University of Arkansas in Fort Smith. It offers a two-year Associate of Applied Science degree and programs for both paralegals and legal assistants. ABA guidelines are stringent and demanding; the University of Arkansas-Fort Smith was the first in the state to gain the ABA approval and has kept it since 1994. Internships are on an elective basis but are arranged with the U. S. Attorney’s office, Prosecutor’s Office, and local law firms. It also provides day and evening classes. 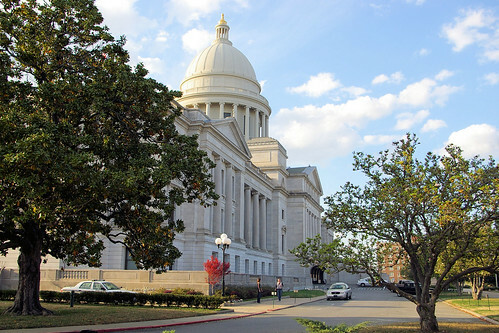 There are a large number of firms that hire paralegals in Arkansas and most of them are in Little Rock. Below you will find a truncated list and contact information. NALA affiliate: Arkansas Paralegal Alliance, Inc.
Is Arkansas recruit Alex Collins’ mom behind canceled signing day ceremony?